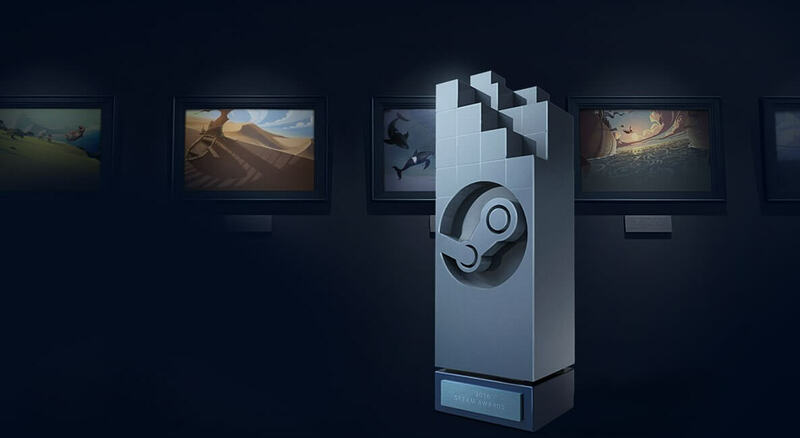 The categories for this year’s Steam Awards were announced at the start of the Autumn Sale in November. Since it began in 2016, the event has become a bit more serious, with categories such as “Mom’s spaghetti” and "Best Use Of A Farm Animal" now dropped. The all-important game of the year nominations consist of PlayerUnknown’s Battlegrounds, Monster Hunter: World, Kingdom Come: Deliverance, Hitman 2, and Assassin’s Creed Odyssey. Virtually all of these appear in our Best PC Games (you should be playing) feature, and while I'm a fan of every one of these titles, I think the excellent AC: Odyssey would be a worthy winner. Some other interesting entries include the The Witcher 3: Wild Hunt in the Best Environment category. Despite being 3 years old, I still believe it might beat Shadow of the Tomb Raider, though Dark Souls 3 will likely be its closest competition. In the Best Developer section, Valve has included ten nominations instead of the usual five as it says this was a “highly-contested category.” A few people will probably be surprised to see Bethesda making an appearance, considering the debacle that has been Fallout 76. Not only is it the company’s worst-reviewed game in 12 years, there have been controversies over nylon bags, data leaks, and refunds, which could lead to lawsuits. There's also a chance it might be getting loot boxes. Voting is open until January 3 and anyone who takes part gets Steam trading cards. The winners will be announced in February. There’s also the matter of Steam’s 12th Annual Winter Sale. As revealed in a leak back in October, it starts tomorrow. No word on what games we’ll see discounted but expect the usual mix of old and new. They lost only a few. You don't have to worry about Steam's library of games. Sad to see Empyrion not on the list. So much potential. Omg! I just realize that the only games I've played out of this list are NieR and Witcher 3, even tho I have more of this list games, I've never got to play it... gotta check the back catalog before making any purchase these days.